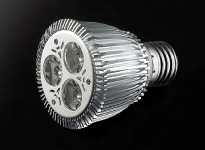 We supply materials that are used for environment-related products such as LEDs and solar panels, as well as AV equipment and copy machines. Aluminum heat sinks for copy machines, aluminum tubes for photosensitive drums, AV panels, and so forth. Heat sinks for LEDs, heater glass tubing for refrigerators, press formed parts for rice cookers, solar panel frames, and others. 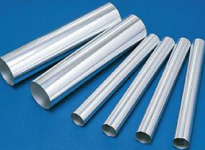 We supply various materials and parts from heat sink until photo sensitive drum pipe.Pull out tubes, used for photosensitive drum in copiers, are required high dimensional precision and surface quality. We supply raw material for these tubes that match these high requirements. 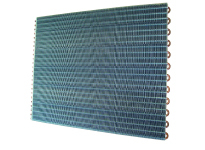 Our aluminum an copper are used for various parts mounted in home use air conditioners, up to heat exchangers in industrial plants.Our aluminum coils for fin materials are optimized mixing of additives in order to improve heat exchange rate; They have higher thermal conductivity than conventional ones. 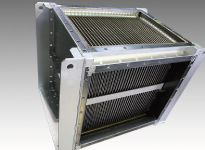 Plate type heat exchangers perform reliable heat exchange as high and low pressure fluids flow on opposite sides of the plates. 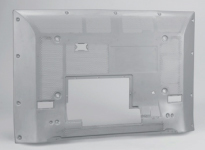 Our aluminum parts are also used for heat-dissipating plates in LED lights. 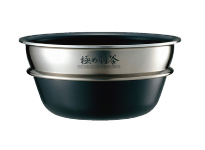 Compared to a rice cooker made only of stainless steel, a rice cooker that is made using SUS/AL clad materials is lighter in weight, has better thermal conductivity and better rust resistance. So it is used for the inner pot in the rice cooker. Pre-coated aluminum materials covered with a coating that dissipates heat rapidly are used to make the panels for home appliances.It also dissipates heat from electronic equipment.